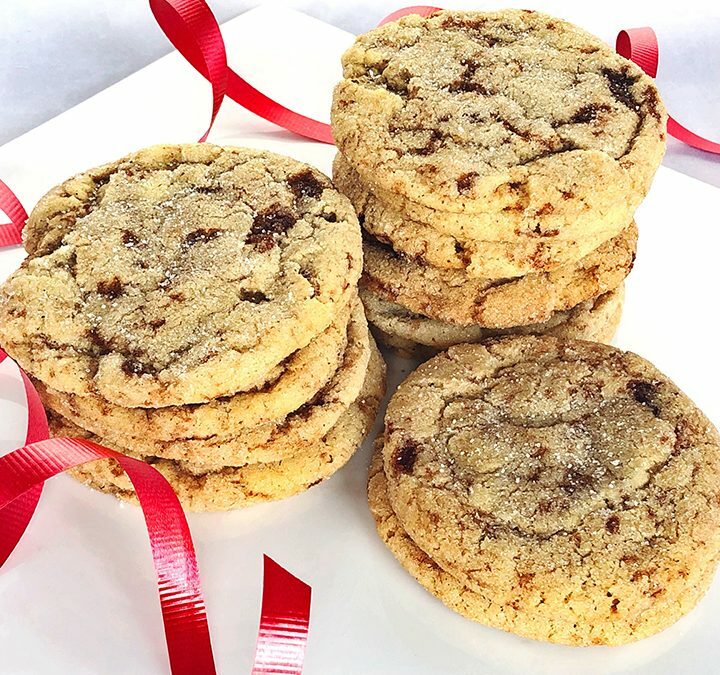 No snickering here, just some real cookie love with these Snickerdoodles. A perfect holiday cookie, they will ignite your home with the smell of the holidays. We added some easy-to-make homemade cinnamon chips to kick the flavor up a notch. Preheat oven to 200˚F. Place a sheet of parchment paper on a cookie sheet and set aside. In a medium bowl, combine the sugar, cinnamon, shortening, light corn syrup, and vanilla extract. Mix with a wooden spoon until the mixture forms a dough. Spread on a parchment paper lined baking sheet and flatten into a rough square about 1/4 inch or so thick. Bake for 30 minutes. Cool completely, blot off any excess oil with paper towels, and then cut into small pieces. Makes approximately 2 cups. Add the remaining granulated sugar to a bowl. Using a 2-tablespoon scoop, scoop the dough, and roll into balls. Roll balls in the sugar. Refrigerate for 30 minutes. Place on a cookie sheet and bake until golden brown and puffed up, 14 to 15 minutes. Let cool completely on pans then move to a cooling rack to cool completely.